WSOPE 2013 Qualifiers are now available on 888 Poker, players can win their seat to the 2013 WSOP Europe for free. 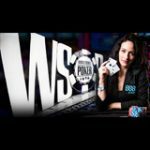 888Poker offer a daily WSOP Europe Freeroll that guarantees a tournament ticket worth $525 to the WSOP Europe Main Event 2013 Qualifier. The 2013 World Series of Poker Europe takes place in Paris, France and features 7 bracelet events in the series including the Main Event. Phil Hellmuth won the WSOPE 2012 Main Event and his 13th bracelet. Win a seat to the 2013 WSOP Main Event in Las Vegas, the final satellite takes place on 23 June on 888Poker. 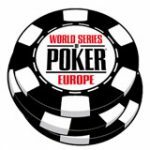 888Poker are running a free poker tournaments where players can win a World Series of Poker Europe prize package for FREE! 888Poker are running a daily freeroll where players can win their tournament ticket to the final satellite tournament for the WSOPE worth $525. 888 Poker Bonus: Sign-up and get $8 free 888 poker bonus. Get your starting stack of 1000 chips for free, players can rebuy and addon for $1 to improve their chances of winning. Prize: WSOP Europe Main Event 2013 Qualifier ticket worth $525. The Winner of the every WSOPE freeroll gets a seat to the WSOPE Qualifier on 7 July 2013. 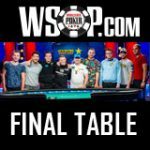 There's still time to get your seat to the WSOP 2013 Main Event, 888Poker host their final WSOP satellite on 23 June, players can qualify from as little as $1 or buy-in directly to the final satellite. The World Series of Poker 2013 Qualifier guarantees at least one prize package worth $15,000 for the 2013 WSOP Main Event. Prize Packages include: Main Event buy-in, accommodation and cash for travel.